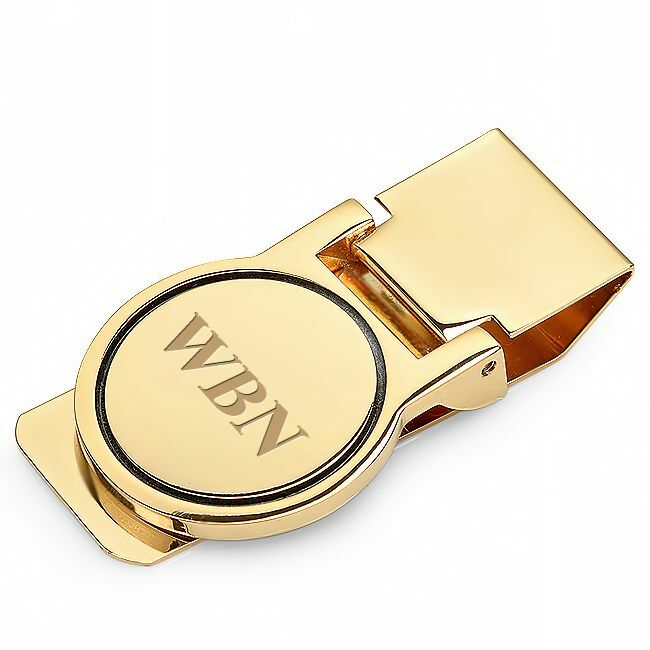 The timeless elegance of this gold tone money clip features a mirror round face with a black acrylic border, providing a frame for custom engraving of your name or initials on the face. The hinged mechanism allows for easy removing and adding of your cash and a credit card or two, securely holding up to 25 folded bills. Personalization is available at no extra charge, and we will package your money clip in a gift box that's ready for presenting to a graduate, groomsman, or other special guy!. Dimensions: 2 1/4" x 1 1/4" x 1/3"
On the Polished Gold Round Face Hinged Money Clip, the middle letter can be done larger. You just need to put your request in the comment section at the bottom of the checkout page. If I only have 2 bills folded in half, will it hold these 2 bills tight? Yes, it will. The hinge mechanism holds any amount of bills you have securely. We do. Just check the PERSONALIZE box on the item page before adding the money clip to the shopping cart. I purchased this for my Husband, he loves this.. Used it everyday. It was just what I wanted & he really needed! He lost one he had for years but it wasn't as Lovely as this one.. Hope to purchase more of products ..
ProsClassy, quality item, economically priced. This was a replacement for a gift from 20+ years ago. Maintained sentimental value. ProsExactly as ordered and delivered faster than promised. They handled the transaction quick and without any trouble. Received the merchandise quickly. AWESOME CUSTOMER SERVICE...QUICK TURN AROUND...HIGHLY RECOMMEND! These guys are really customer driven...we had an order that had a little twist to it and not only did they help us with our custom order...they got it out with lightning fast service!! ConsWe could not find anything in this section! Exactly as described, very high quality !! engraving was nice quality, just like picture. 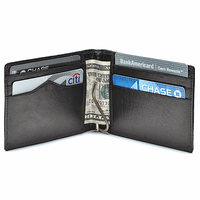 I love the hinged style money clip and this one works great. I can't find them anymore, thanks for having this! Love the engraving too. 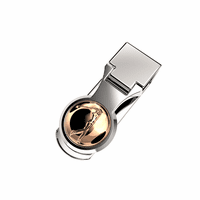 This is one of those money clips that looks great and functions as designed! ProsLooks great and it's light weight makes it non-intrusive inside your pocket. Great product, great service, great price! Can't ask for more. Finally--a money clip that really works! This is the second one that I have ordered. I apparently left the first one at a bar somewhere. These are great money clips. *Much* better than the spring-loaded ones or the French fold ones. This positive clasp actually holds on to the money until you un-clip it! This is really a good thing for people who don't have wallets that hold bills (or who think that putting bills into wallets makes them too fat). And it's inexpensive! I have my first name engraved on the circular part. Was pleased with the timely arrival. Were given as gifts. Very nice item! Will find a reason to be a repeat customer, stellar experience. This is a great money clip and was monogrammed free. It is well worth the asking price. I'm thinking about buying several for Christmas gifts. 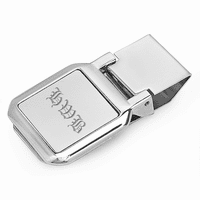 I'm a happy customer and I recommend this item to anyone looking for a beautiful money clip. I was looking for this exact money clip. I had one years ago that I received as a gift. I got many years of use and then I lost it one day. I looked all over the internet for it and couldn't find one. I lucked out with a Google that took me to "Executive Gift Shop". I looked through the selection and there it was, and they also inscribe. They have a tremendous selection of very nice gifts and great prices. Very nice, just what I was looking for. The money clip grips the bills very well. It Was My Fault I For Got To Get My Name put on it.